The shack exists, the shack exists, cedar and steel, dream and demons test their weight on its squeaky floor when I’m not in there making a mess of language and trying to find my way back to a breath taken between finishing one poem and entering another. 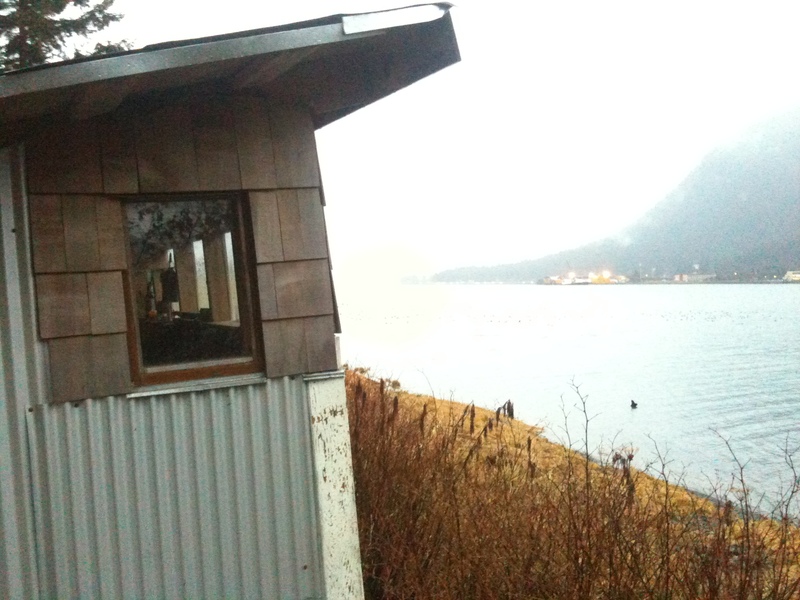 I returned to Juneau in fall 2010 and was blessed with a few weeks of dry weather before the clouds descended upon our seaside hideout. 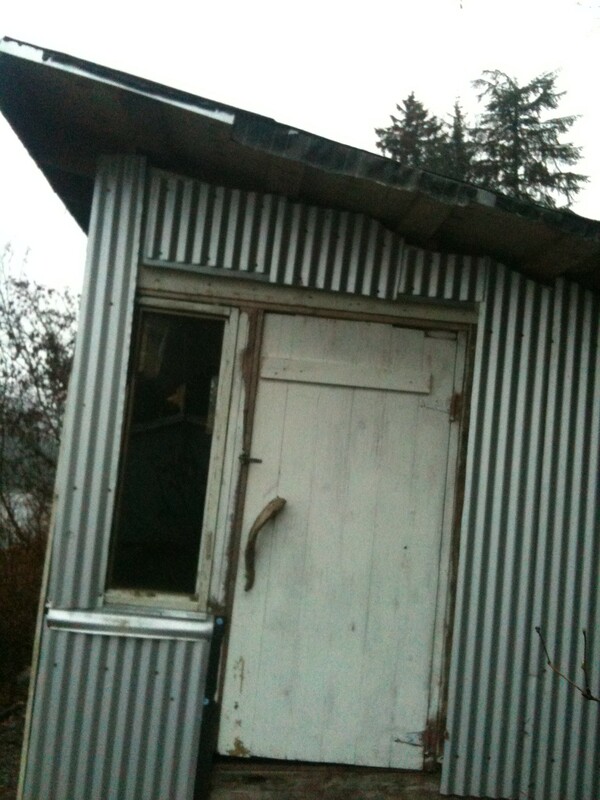 The shack has been nearly reclaimed by the salmonberry thicket that holds up the steep bluff. In this part of the world it is not uncommon for unmaintained structures to be swallowed up by the moss, the rot, the rain. Having resurrected the shack from a similar state years ago I am determined not to allow such a thing to happen again so I set to work with a pair of shears and a weed whip to once again clear the path to the shack. Judging by the head high cow parsnip flowers, now papery dry and raining seed heads upon the knee high buttercup tangle, it has been a dry summer. Inevitably though, we welcomed September with a day of record rainfall and while the shack and its patchwork roof and siding remained dry inside, there was a small flood from poor grading and ground saturation in the basement at the top of the trail. During my time away it appears the shack has served as itinerant home to several birds, nest materials line the bookshelf and windowsills, a double kayak so long that a friend has removed the bottom of two planks on the door so that the nose of the boat sticks out through the closed door. The door never closed very well anyway, it was forever sabotaged by hemlock planks that would swell and contract with the weather. I figure this door modification can be rigged to serve as a dog door once I take the plunge and move into the shack, making this crooked little shelter by the sea my home for a short time during the arrival of winter. 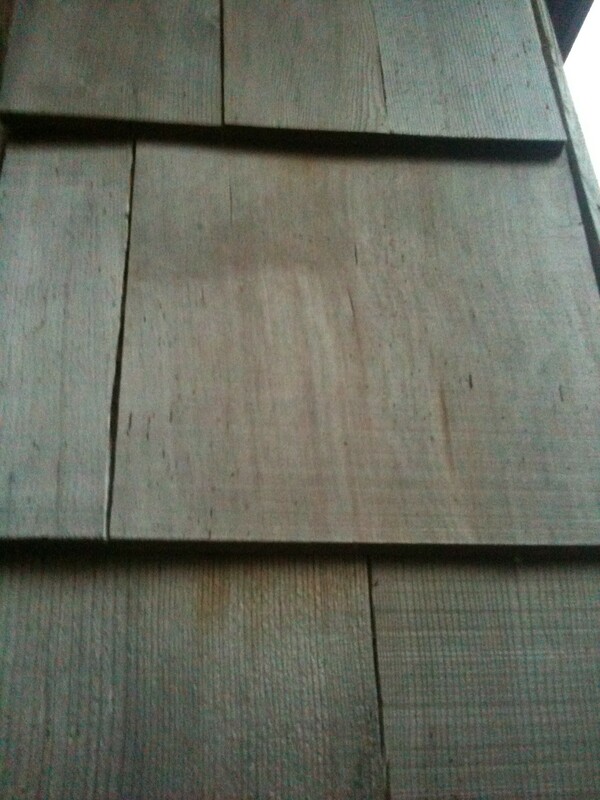 The shack is my word temple, is crooked. Raised on the beach from salvaged lumber and materials gathered from around town where people didn’t need or want them any more. For some time I could find no poems, so instead I became a gatherer of objects. Nothing precious, quite the opposite actually, mostly refuse, driftwood, rocks, drifted pieces of lumber, glass net floats, fishing lures, wild plants I’d hope to transplant in my yard. During that time I spent resurrecting this shack so I’d have a place to get away to and write, but I spent more time driving nails and double checking calculations and realizing how poor a carpenter I was than I did writing. read more poems from the shack.